If you have a bruise, a bump or some other type of injury, then arnica oil can do a great deal to fix you up. When you apply arnica to your skin in the form of oil, ointment, cream or even a tea, it has the medicinal properties necessary to relieve swelling, pain and irritation. Arnica has been used since the 1500s to treat all types of skin and muscle injuries including bruises, bites, stings, sprains and aches. It can also be used to treat painful arthritis symptoms. If you are interested in the many benefits of arnica and would like to know more about it, please read on. There are actually several different species of the plant but the best known and the one used most for therapeutic purposes is Arnica montana. It has a variety of other common names including leopard’s bane, wolf’s bane and mountain tobacco. The plant has beautiful and easily recognizable bright orange or yellow flower heads that appear in the summer months and bloom until autumn. Arnica essential oil is derived from these flower heads usually by a process of steam distillation. The oil has outstanding therapeutic properties which owe much to the fatty acids found in the plant. These fatty acids include linoleic acid, linolenic acid and plamytic acid. Arnica also contains thymol which studies have found to be highly antibacterial. NOTE: Arnica can also be used to make a tea infusion however, the plant is considered dangerous and even toxic for consumption and you should never take arnica internally unless you are under expert supervision. We will look at the method for making arnica tea later in the article but will focus on its external use only. We have already looked at natural remedies to heal bruising which is usually caused by injury rupturing the blood vessels beneath the skin. Arnica oil is an excellent natural remedy when it comes to healing bruises fast. All you need to do is apply your arnica oil to your bruise twice a day but be careful not to apply it to an open wound. One study published in 2010 found that applying a 20% arnica formulation topically helped accelerate healing and was a more effective remedy for bruising than a vitamin K formulation. The researchers identified several ingredients found in arnica which seem to explain its anti-bruising effects. For anybody suffering with the painful symptoms of arthritis or rheumatism, arnica may be an effective natural alternative to the commonly prescribed medications. Arnica is also a very effective topical remedy for a host of injuries whether related to exercise, strenuous activity or inflammation. Studies have demonstrated that applying arnica topically in some form can effectively reduce pain, muscle damage and inflammation which can also enhance exercise performance. Arnica is a very effective remedy for inflammation in the wrist known as carpal tunnel syndrome. Applying arnica oil can help relieve both pain and inflammation linked to the condition. Arnica oil may help people avoid surgery in the first place but studies have revealed that arnica can also help relieve pain following wrist surgery. Now here is a completely different use for arnica and one that may please men of a certain age. If you find that you are going bald on top or if you are a woman who is losing more hair than usual, treating it with arnica oil may help to reverse the loss. There are no studies to prove that it will work but arnica oil is full of compounds that can nourish your hair and help it grow strong. Some commercial shampoos and conditioners use arnica as an ingredient but if you want to make your own, simply add a few drops of arnica oil to your normal shampoo. 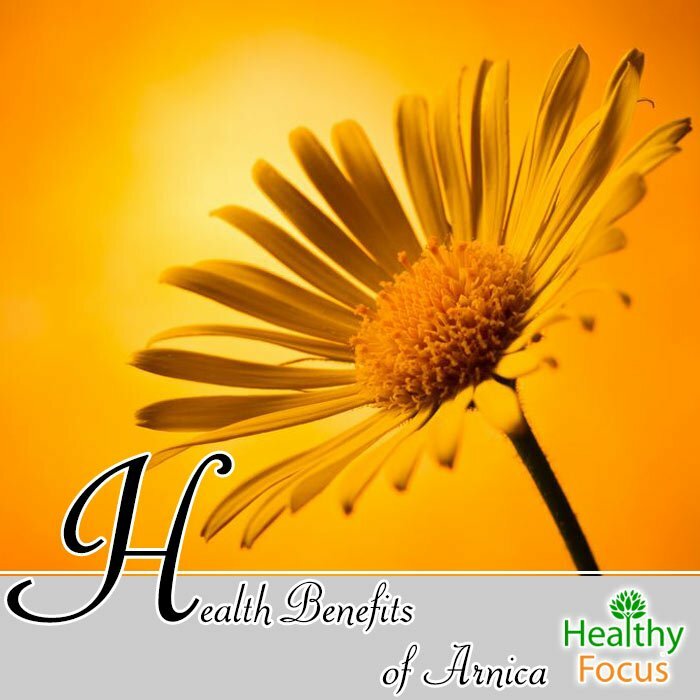 Arnica oil is available at many health stores and from online retailers. When you are shopping for arnica oil, look for products with few ingredients. The oil should only contain arnica and a good quality base oil like almond oil or olive oil though vitamin E is sometimes added as a preservative. Before applying arnica oil to your skin, make sure you shake it well. Apply to the affected area several times each day and massage it into your skin until it has fully absorbed. Another option is to buy or make your own arnica tea. Note: Arnica tea should only be used externally. It is possible to make a very weak infusion for internal use but we would not recommend doing so unless you are under expert supervision. Muscle Pain: Apply some arnica tea to your aching muscles for effective relief. To Heal Bruises : Apply the tea to your bruises to help them heal more quickly. Foot Pain : Make a foot bath with arnica tea, dip in your feet and relax. For Insect Bites : Dip a cotton ball in your arnica tea and apply to the bite or sting. For The Skin : Apply some arnica tea to your acne or eczema. Its anti-inflammatory and antibacterial properties may help. Using arnica oil or tea topically is generally regarded as safe. However, if your skin does react in any way, stop using the treatment immediately. Arnica can cause a reaction in people who are allergic to the Astaraceae family of plants. If you have sensitive skin, it is best to perform a patch test in a small area of skin first. Do not use arnica oil or tea on open wounds or broken skin. Do not take arnica oil or arnica tea internally as it is toxic especially in large amounts. Keep your arnica out of your children’s reach. Have you ever used arnica in any of its forms? If so, please let us know hoe effective you found it to be and wehther or not you would recommend it.